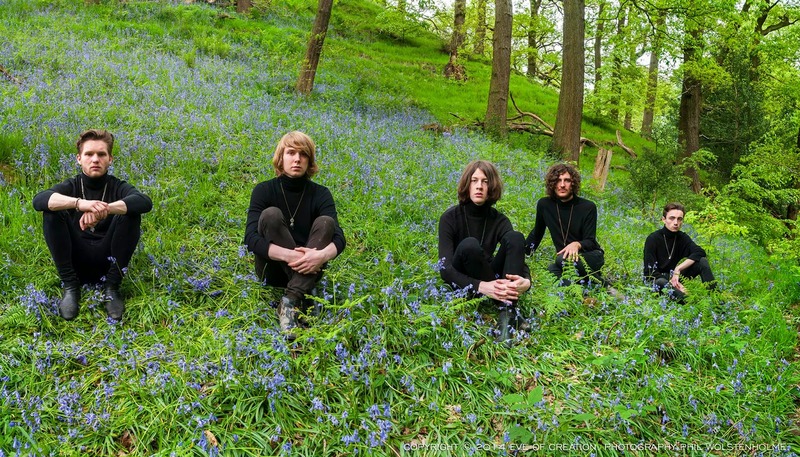 Even The Stars met with the hotly tipped Blossoms ahead of the first of their residency series at Heaton Chapel's Blue Cat Cafe to chat over how they got together and their plans for stardom. We caught up with them in more intimate surroundings as they played a sold-out show at the Blue Cat. We interviewed all five. As they all had lots to say it's impossible to decipher who said what from the tape and so, as they act as one gang, they talk as one for the purposes of this piece. 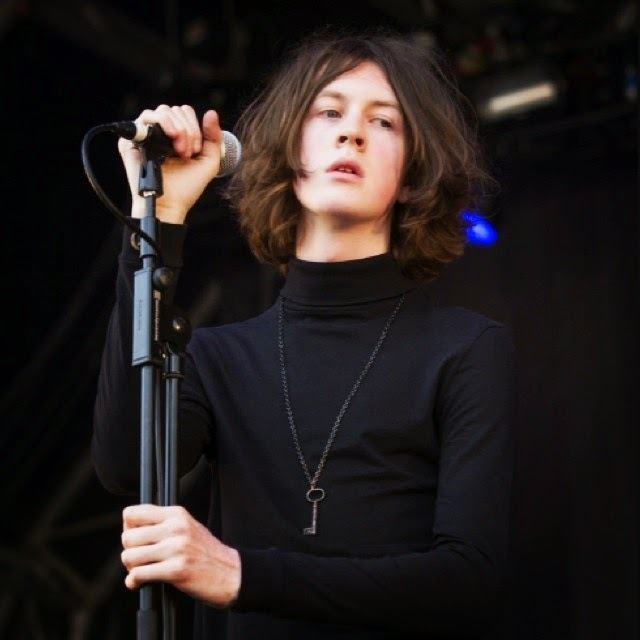 We saw you supporting James at Castlefields. How was that experience? "It felt right, we really enjoyed it. It felt like where we were supposed to be. There were a few nerves beforehand but once we were on, it felt like we belonged there." "It was a bit surreal afterwards when we were off-stage watching. I think we were well-received." "There was a bit of banter between me and the crowd. It's been electric since then. And obviously supporting a band like James, who we'd grown up listening to, made it special. At no point did we feel blessed at being in that position. We felt like we deserved it and we were strong enough"
I think if you want to be a big band then you've got to believe that. "You do, you see it. Looking back to bands in the past that made it, they always said they knew, they had that self-belief. We've been in bands before and it hasn't been the case." "And maybe you look at the other bands and think they're big-headed, but it's been like that in this band for a year now. We've got that self-belief." "A combination of things. We were all in other bands before, lots of different types of music playing on the local scene in Stockport. We'd even been on the same bill. We were all born in the same hospital. Josh is a bit younger, but we've always known each other, some better than others. As you leave school and go to college you meet more people so we were always on each other's horizons and it got to a point where we were unsatisfied with the other bands we were in and we decided we wanted to start something and really give it a go." "I was on a bus going into town and we went past the Blossoms pub in Stockport and Tom turned to me and said that'd be a great name for a band and then a week later the same thing happened with Charlie. We were on the same wavelength and that was fate and we knew it was meant to be. We jammed and then we got Josh down, who's about five years younger than us and then it just clicked." "Then last August the final piece of the jigsaw fell into place when we met Miles. We knew we needed to fill out the sound a bit and we'd been a four-piece for a while. The organ kind of sets up apart, there's not many bands with an organ these days." It is one of the first things you notice. A lot of older bands, like the Inspirals and The Charlatans had it, but none really for a long time. "I don't think we sound strictly Manchester. I mean there will be hints because that's where we're from." There's a lot being made of a psyche revival at the moment and people keep trying to pigeonhole you with that but I don't think that fits your sound. "We don't really like that label and we don't think we sound like that. There's obviously bits that might fit it and we like the lighting a little darker, but I think it's just being lazy. It's the fashion at the moment." The problem is if you're a band and you get stuck with that label, there's nowhere to go when the movement drops off. "You could probably put us in a lot of genres, there's lots of labels you could put on us, but we don't want any of them to stick. We think when our first single comes out which we haven't announced yet then that will change." 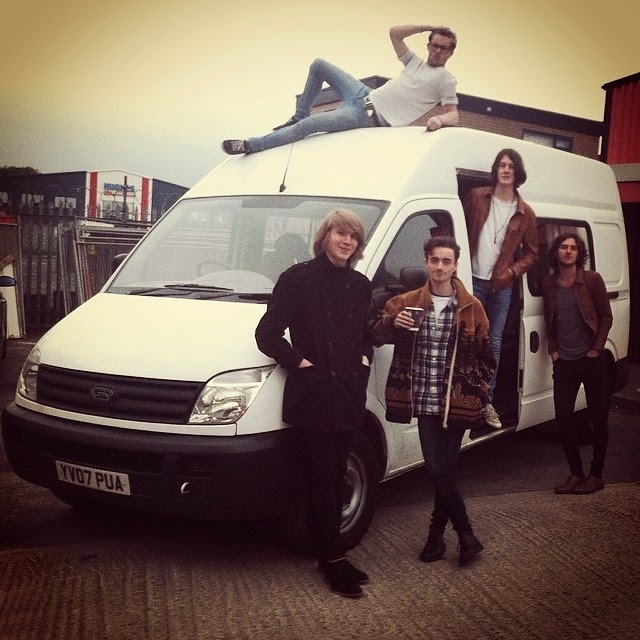 "We've just recorded in Liverpool for what will be our proper debut release. We're doing a free download of You Pulled A Gun On Me on our website, but it won't be available on the usual platforms to buy. This one should be on 7 inch and the usual places like iTunes and Spotify and we'll treat it like our debut." Is there a reason you haven't released anything officially so far (there was a gig-only EP circulating earlier in the year) - you've done some pretty big gigs and it seems strange to do them and not have anything people could go and buy? "We were going to go with a label in London with our previous manager and release an EP, but it didn't feel like the right thing. We went over the papers with a few people we knew, but we held out. It's done us good so far we think." "We want to be a bit more mysterious too. You can do that to a certain degree, but now we feel the time is right, when people won't miss it. We've got a tour booked in for September / October, thirteen or fourteen dates straight which isn't announced yet." "What's nice is that we've got a lot of people behind us, backing us who believe in us, strong people in the industry. You can get led astray." It's very easy for a band to get led astray and then waste time extricating themselves and their moment has gone. "In April time labels were sniffing around and we could have gone down that route. They were quite a good label as well, they've had some great bands and are doing well, but you can get caught up with being linked to a label, but then Conrad (their manager) came along. We do want to be mainstream, we don't want to be playing in a toilet every day. We want to play on Castlefields Bowl." "The thing about our music is that appeals to so many ages. It's pop music at the end of the day. The older generations can link it to things like The Doors and the newer generations who are just getting into music will listen and just think it's a cool song. I love the fact you can look around the crowd and it's full of people of different ages." "What's pleasant to hear after every gig is listening to people labelling us as different things. For example one of the more recent ones we've heard was Kate Bush. But we've had Love and The Seeds which is amazing to hear because personally I really like them." 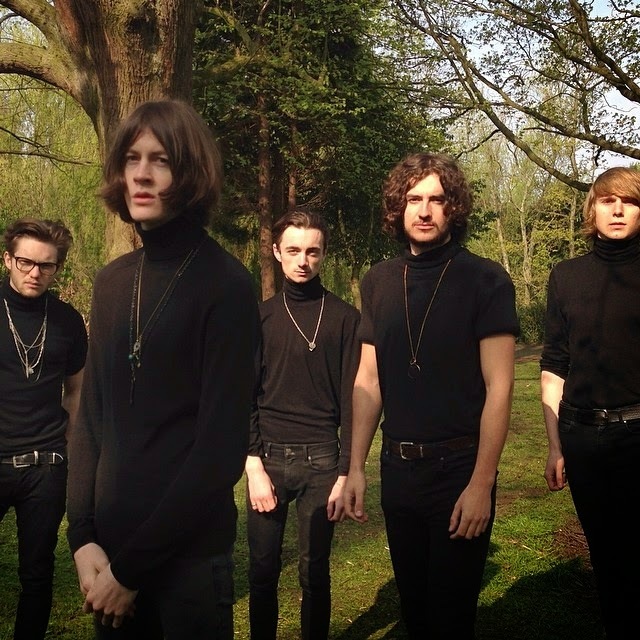 At Castlefields, you were all dressed in black. Is that an ongoing thing or just for that night? "Yes, it's got a slight classical and theatrical feel to it. It shows we're together, we're a gang. We live and breathe together, we rehearse three or four times a week. When we're not playing together, we're doing something to do with the band. It's like the last gang in town, it's not that we're mates who are just doing a few gigs for a laugh, that's not what it's like"
"We took on the uniform thing because it's such an obvious thing to do, but no one has done it for a while, like wearing turtlenecks. If you go to a gig, and you have a few, and watch a lot of bands, you might go home and struggle to remember them, but if you've got a link like that then you will remember. The music's most important of course, but things still in your head like how they're dressed or the mood of the lighting." So how do write songs then, as individuals or as a group? "I (Tom) write them acoustically, the basis of a song and then I bring it to the band. I might have a lead riff too, but then we work on it together and add bits. It might not have a concrete structure, we add bits, we might just have chords and then decide where we put a chorus or a breakdown in. We're all very creative and everything gets put on to the table. It's never forced, it just comes together. If it feels like we're forcing it, we put it to one side." How many songs do you have finished now? "We're just written one for the second album already (laughs). Noel Gallagher had the first two Oasis albums written before they started. We'll have to see what happens. We're not in any rush to get it out, but we've got the songs. We've probably got songs that wouldn't fit on a second album. We're always writing. Every song we're writing we feel is at a different level. The songwriting is maturing quite quickly. It's a regimented process that works for us, a formula that has the Blossoms stamp on it." "The rest of the year has more of a plan. Earlier in the year we were being pulled around a bit in different directions by people telling us they could help us and managers telling us what they could do for us, but now we're settled." "You always have to be thinking about the next thing, that's why we've got a tour booked. It's all good releasing a single but if you've got nothing to back it up with then you lose momentum. Things need to be in place." You play in Manchester and people know you. It'll be a challenge to play where you're less well known. "It will, where you don't know what the reaction will be, whether it'll be friendly or hostile. We went to Sheffield and the venue was a bit out of the way, so we were apprehensive, but it was quite full and we went down really well. With only one song out there, we really did it on word of mouth and it worked for us." "We've got our first tour booked, a two-week straight tour. It'll be a big test for us, with possibly hostile or small crowds. That first tour for a band is an initiation period. For us, as a band, we spend too much time for it to be a problem." "We're like a proper band used to be, we do have arguments of course but everything else in our lives is second. Nothing we do is manufactured, even when we record, everything we do is purely organic." 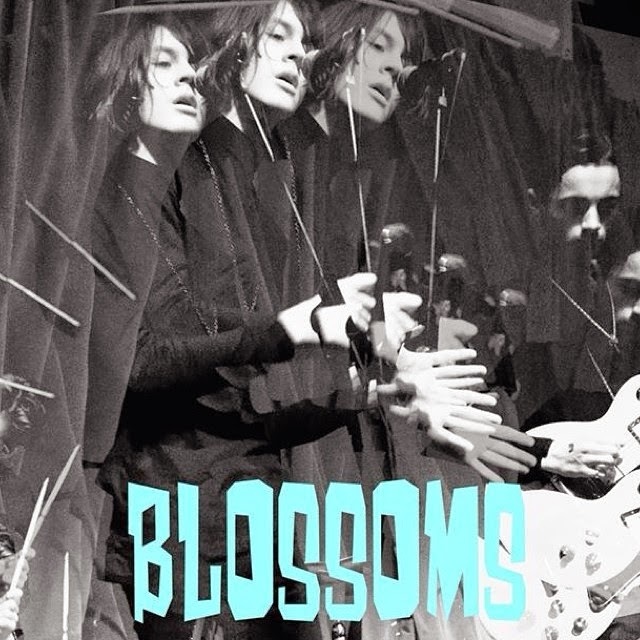 Blossoms' official website can be found here. They are also on Facebook and Twitter. They play further shows at the Blue Cat in Heaton Chapel as part of this residency on August 15th, September 5th and 26th as well as a free show at Sound Control in Manchester on September 27th. The tour they refer to will be announced in the next few weeks. We reviewed the opening night of their Blue Cat residency here.